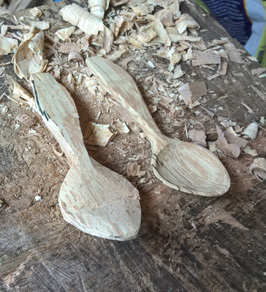 As a greenwood carver I enjoy finding the spoons and bowls in the trees that are all around us. 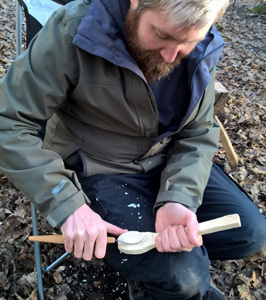 Small scoops and jar spoons can be found in small twigs and branches just by using a knife. 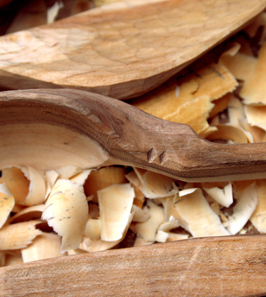 Eating and cooking spoons can be revealed from straight and bent branches with axe and knife. 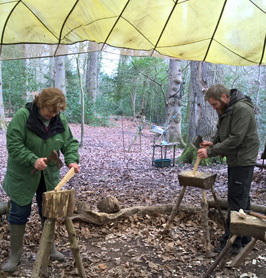 Bowls can be discovered in large branches and trunks by using axe and bowl turning hooks and a foot powered pole lathe. 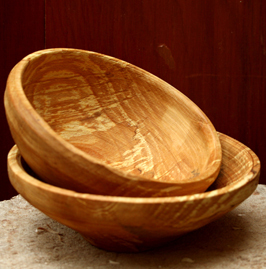 All the new designs I make are tested, and only the best get reproduced. 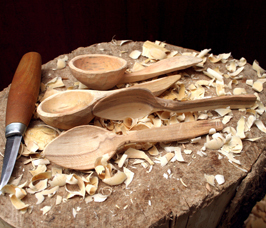 Spoons are designed to work in various bowls and my current spoons work prefectly in my new bowls, which themselves are designed for easier stacking, as requested by customers.